Well look what I found. Any suggestions how to use it in my bread baking? ? I use ground flax often and just add it to my bread dough-usually WW. It may require a little extra water for the dough as it does absorb the water and form a gel. Try adding water to a tablespoon of ground flax in a bowl to get a sense of how absorbent it is. Add it to pancakes, cereal, pudding,etc. if you want to have ground flax in the diet for health benefits. Good nutrient. Definitely store it in the freezer. Ground flax goes rancid amazingly quickly, esp in warmer temps. I quit buying ground and only buy whole, as the ground stuff always seems to have off, fishy odors. 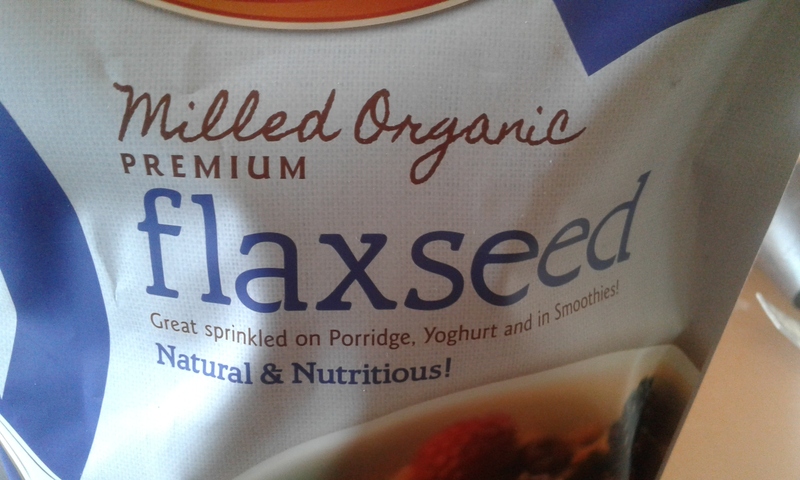 I will echo the addition of adding flax in whole grain loaves. I find that it nicely compliments the nuttiness of the whole wheat flour. I have also enjoyed adding ground flax into seed mixes that I incorporate into the dough. It's yummy and nutritious. What's not to love!? That's just what I needed to know...... into the dough, into the cereal, into the pancakes..... and into the freezer! Thank you all.